It’s your job to keep employees healthy and hydrated, but that requires more than a 24-pack of Dasani or a trip to the kitchen sink. Water contamination is a serious concern, and people are becoming more and more cautious about what they put into their bodies. You want an office water cooler that has taken these concerns into account. This is why today’s water coolers are built with high standards of sanitation, filtration and convenience in mind. 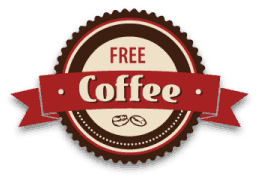 From Reverse Osmosis Filters, to In-Tank Sanitation, to Leak Lock Protection, Quality Express Coffee carries a wide variety of exceptional water coolers to purify your personnel and quench your workplace health standards. Your staff simply feels safer when they’re consuming healthy water, and our water cooler service promises just that. Largest PureChill chamber makes cold water faster. Tallest PureChill model with largest fill area for ease of use. Comes with built in cup holder. Great for breakrooms, small offices and wet bars. At only 16.5” tall, this unit fits on counters under standard cabinets in homes and offices. 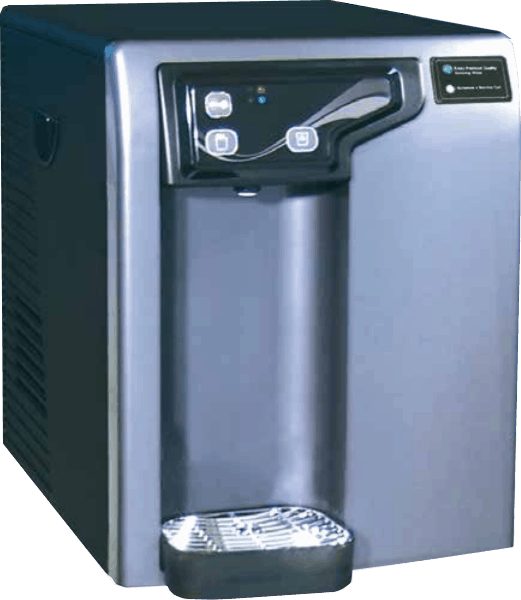 This hot and cold bottle-less water cooler has 4 times the storage capacity of our other 2-temp models – 6.3 gallons. Serves busy offices with up to 70 people. Like the PWC-2000 but with larger 4 gallon water storage, larger opening for easy refilss, flat top for coffee brewer and high capacity RO for offices or factories with up to 60 people. Hot, Room and Cold water dispenser provides customers with the water they need at the temperature they want.